Home of Lawn care excellence! Keep your free time to yourself when you let our professionals take care of your lawn maintenance needs. A Cut Above Excellence offers lawn maintenance and custom landscape installations to residential and commercial clients in Clermont, Florida, and Orlando. Our high-end lawn care services are great for both homeowners and business owners alike. 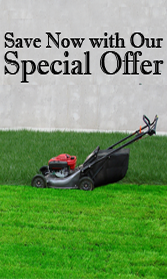 Call today for an estimate for your lawn maintenance, mowing, and sod project anywhere in the Greater Orlando area. At A Cut Above Excellence, we know that certain types of grass have different needs than others. When you contract A Cut Above Excellence for your lawn maintenance, you can rest assured knowing your yard is in good hands. All contracts are negotiable depending on the type of yard that you have, its size, and conditions as well as the services you request each month. We manicure your grass, not just cut it. It is our goal to make your lawn lovely for that ultimate curb appeal. With more than 30 years of combined experience throughout Florida in all fields of horticulture, we started our business in Orlando in 2008 to offer a high caliber of lawn care, mowing, maintenance, and sod to residents and businesses throughout the entire Greater Orlando, Florida service area. Since then, we have grown to supplying excellence in lawn care to more than 150 clients. Contact us for more information about our lawn care services. There is no yard we can't make perfect...rest assured. "We are what we repeatedly do, excellence, then, it is not an act but a habit."